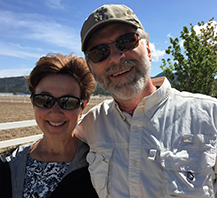 Owners, Tamara and James have lived in Estes Park for more than 35 years. They and their experienced team are looking forward to meeting you and helping to make your visit the best ever. Give us a call, or email to find out more about making Aspen Brook part of your next visit to the Rocky Mountains and Estes Park! 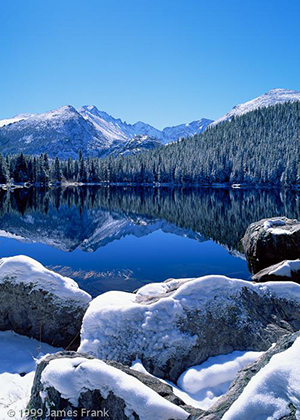 Aspen Brook Vacation Homes is a community beautifully situated just three miles from the entrance to Rocky Mountain National Park. From any of our Colorado-classic mountain homes, you’re just minutes from a walk, horseback ride or drive into the national park. 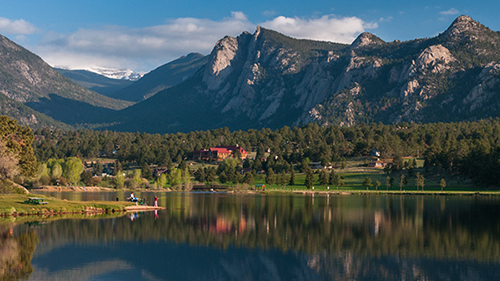 Three miles east is the heart of downtown Estes Park, perfect for an afternoon of truly unique shopping or an evening of nightlife and great dining experiences. 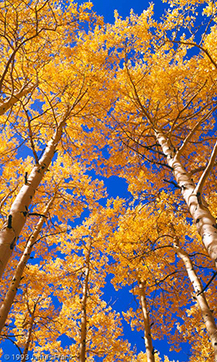 Aspen Brook is open year ‘round with so much to offer in every season. There are outdoor opportunties everywhere you turn. Hike all year, snowshoe in winter, or stay on property and fly fish from the banks of the Big Thompson River meandering through Aspen Brook’s peaceful setting. The abundance of wildlife - hummingbirds, deer, elk and the occasional moose - are all part of the experience. Whether you seek adventure or a peaceful getaway – Aspen Brook has something for everyone.